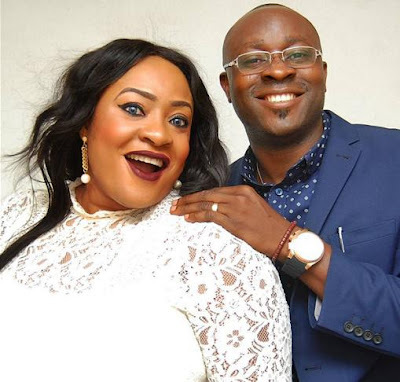 Has Foluke Daramola learnt from her first marriage with new husband? Yoruba and Nollywood actresses are having a hard time when it comes to their private lives.Foluke Daramola and her second husband have been in the news constantly since the two got married a few years ago.It seems some people are hell bent on seeing her and her boo break up,well according to the actress that is. Some people sef,they should mind their own business,what is your own sef?What are you going to gain by running to the wife and telling her you spotted her husband with another woman?Did she employ you as a detective? In a recent interview,she warned those keeping a watch on her husband and in the habit of reporting him to her to mind their own business.She also revealed infidelity does not worry her,cos she knows how to handle it. As you know,Nigerians always have things to say and were quick to criticize her for encouraging her husband in straying. In an interview with the Nigerian Tribune,the actress and mother of two said:"I want people to mind their business concerning my home. It’s overflogged already. The pressure that Nigerians put on all celebrities and our marriages is not making the relationship healthy. Even if they see my husband with a woman, does it mean he has anything to do with that woman? She went on... And even if anything should go wrong at the end of the day, if someone tells me about it, what does the person want me to do? Does the person want me to say I’m not interested anymore? I’ve always said that the only thing that can take me away from my home is physical and emotional abuse. Infidelity can never take me away from my home because I know how to handle it. I totally get where she is coming from,but i think the problem is ,at times these celebrities give too much importance to people and their ramblings.Just ignore them! You don't need to reply them or try explaining anything to them.How anybody chooses to live their life or conduct their homes is nobody's business. There are just people who want to see you fail in what ever you do.It brings them happiness.These people are sick and the best thing to do is just ignore them. A look into Foluke Daramola biography tells us a bit more about the much loved actress who has been in the game for a while now. Her date of birth is February 15,apart from her acting,she is also a film director.Some of her well known films are Above Love which was released in 2004, Durodola,which is a favourite of mine and released in 2005, and Official Romance released in 2004. 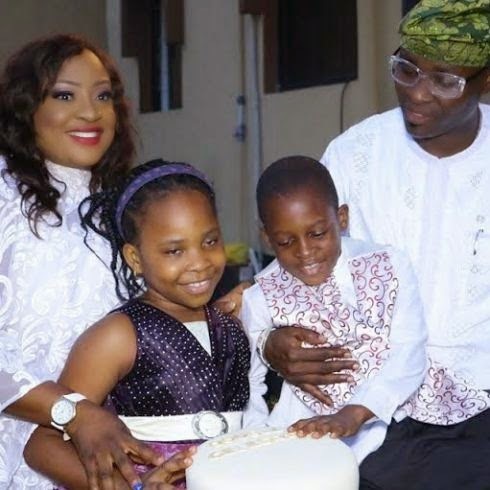 She had a much covered divorce from her first husband Babatunde Sobowale, who she got separated from in 2005.She then remarried after a very public romance with Kayode Salako on February 15, 2013.She had a couple of children,a boy and a girl from her time with her ex hubby,Babatunde.